What is the cheapest way to get from Aberdare to Taffs Well Station? The cheapest way to get from Aberdare to Taffs Well Station is to drive which costs £3 - £5 and takes 23m. What is the fastest way to get from Aberdare to Taffs Well Station? The quickest way to get from Aberdare to Taffs Well Station is to taxi which costs £40 - £50 and takes 23m. Is there a direct train between Aberdare and Taffs Well Station? Yes, there is a direct train departing from Aberdare and arriving at Taffs Well. Services depart hourly, and operate every day. The journey takes approximately 39m. How far is it from Aberdare to Taffs Well Station? The distance between Aberdare and Taffs Well Station is 14 miles. The road distance is 18.4 miles. How do I travel from Aberdare to Taffs Well Station without a car? The best way to get from Aberdare to Taffs Well Station without a car is to train which takes 39m and costs £5 - £9. How long does it take to get from Aberdare to Taffs Well Station? 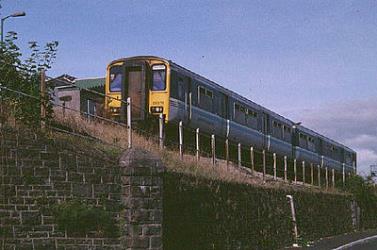 The train from Aberdare to Taffs Well takes 39m including transfers and departs hourly. Where do I catch the Aberdare to Taffs Well Station train from? Aberdare to Taffs Well Station train services, operated by Arriva Trains Wales, depart from Aberdare station. Where does the Aberdare to Taffs Well Station train arrive? 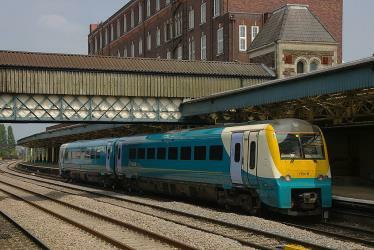 Aberdare to Taffs Well Station train services, operated by Arriva Trains Wales, arrive at Taffs Well station. Can I drive from Aberdare to Taffs Well Station? Yes, the driving distance between Aberdare to Taffs Well Station is 18 miles. It takes approximately 23m to drive from Aberdare to Taffs Well Station. How do I get a train ticket from Aberdare to Taffs Well Station? 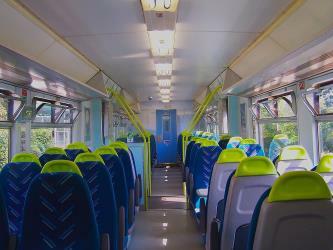 Book your Aberdare to Taffs Well Station train tickets online with Rome2rio. What companies run services between Aberdare, Wales and Taffs Well Station, Wales? 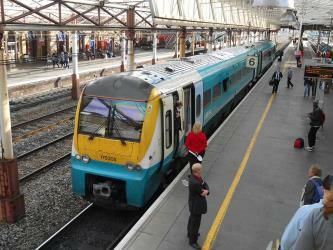 Arriva Trains Wales operates a train from Aberdare to Taffs Well Station hourly. Tickets cost £5 - £9 and the journey takes 39m. Where can I stay near Taffs Well Station? There are 635+ hotels available in Taffs Well Station. Prices start at £46 per night. Castell Coch is a 19th-century Gothic Revival castle built above the village of Tongwynlais in South Wales. The first castle on the site was built by the Normans after 1081, to protect the newly conquered town of Cardiff and control the route along the Taff Gorge. Abandoned shortly afterwards, the castle's earth motte was reused by Gilbert de Clare as the basis for a new stone fortification, which he built between 1267 and 1277 to control his freshly annexed Welsh lands. This castle was likely destroyed in the native Welsh rebellion of 1314. In 1760, the castle ruins were acquired by John Stuart, 3rd Earl of Bute, as part of a marriage settlement that brought the family vast estates in South Wales. Caerphilly Castle (Welsh: Castell Caerffili) is a medieval fortification in Caerphilly in South Wales. The castle was constructed by Gilbert de Clare in the 13th century as part of his campaign to conquer Glamorgan, and saw extensive fighting between Gilbert and his descendants and the native Welsh rulers. Surrounded by extensive artificial lakes – considered by historian Allen Brown to be "the most elaborate water defences in all Britain" – it occupies around 30 acre and is the second largest castle in Britain. It is famous for having introduced concentric castle defences to Britain and for its large gatehouses. Rome2rio makes travelling from Aberdare to Taffs Well Station easy. Rome2rio is a door-to-door travel information and booking engine, helping you get to and from any location in the world. Find all the transport options for your trip from Aberdare to Taffs Well Station right here. Rome2rio displays up to date schedules, route maps, journey times and estimated fares from relevant transport operators, ensuring you can make an informed decision about which option will suit you best. Rome2rio also offers online bookings for selected operators, making reservations easy and straightforward.